The third annual Japan Drone 2019 had a total of more than 14,000 visitors. The Drone Innovation Seminar (paid), a seminar led by world class specialists that includes an analysis and overview of the domestic and international drone market will be held in addition to the basic seminars at Japan Drone. The goal of this seminar is to establish a program capable of responding to numerous departments and requests, a place to receive in depth knowledge and information and to introduce new companies that may be interested in incorperating drones into their business model in the future. 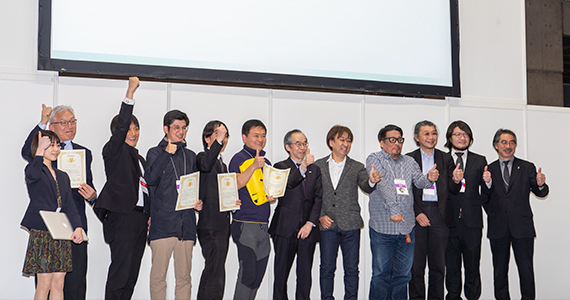 In addition to the Best of Japan Drone Award, a B to B event established to recognize those services and products that have had great contribution to the industry or have high expectations for their future release, other events such as Drone Movie's Competition and are also open to private exhibitors to join and participate in. Copyright © 2017 Congress Corporation and Space Media Japan Co.,Ltd. all rights reserved.